HR 3590 has now passed the Senate and House and I'm trying to get a feel what it's about. The House passed HR1628, but the Senate has yet to weigh in. The American Health Care Act of 2017 (AHCA), H.R. 1628, is the House Republicans' leading proposal to "repeal and replace" the Affordable Care Act (aka Obamacare, but we'll abbreviate it ACA) and "defund" Planned Parenthood. Health Care and Education Reconciliation Act of 2010 (H.R. 4872) (Wiki) which made some changes. I think those changes are part of the bill as shown here, but I'm not positive about that. Obama made a deal with the medical insurance industry to take single payer health care (Wiki) off the table so it's not part of either bill that passed. Obama also made a deal with PhRMA (Wiki) (the very same deal he criticized G.W. Bush for making) that the government would NOT negotiate the price of prescription drugs, i.e. the government would pay full retail for drugs they could get wholesale. The bill that passed requires everyone (including m embers of Congress and their staff, see S1312 below) to buy medical insurance. It also mandates that the insurance companies must accept everyone (something they have not done up to now). The logical conclusion is that the cost of medical insurance is going to go up, so many will not be able to afford it. They will either change to a lower cost plan or go naked. Note the U.S. spends twice as much as most other industrial nations on medical care and we get poorer results. People on Medicare have single payer already and are not effected by this bill. Prior to Obama Care Congressmen were getting medical insurance through the Federal Employees Health Benefits Program (Wiki) where the government picks up about 72% of the plan cost. So one of the reasons Republicans are so against Obama Care is that it impacts them personally. This is another reason Republicans are against the plan. See S9015 and S10906 Additional hospital insurance tax on high-income taxpayers. Note S9015 is the house version and S10906 is the Senate version and they are the same. There are two aspects to this. There is a general tax increase for everyone for hospital insurance from 0.5% to 1.4%. 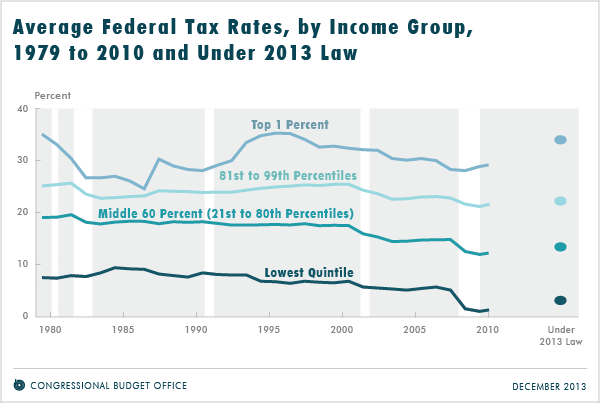 In addition there's an additional 0.9% increase for high-income individuals. These show up as amendments to the IRS code (Wiki) (USC 26). See S3308: Reducing part D premium subsidy for high-income beneficiaries. But it's a formula with an input needed from the SSA. Sec 1402 of P.L. 111-152 Unearned Income Medical Contribution (Health Care and Education Reconciliation Act of 2010). and the Jobs and Growth Tax Relief Reconciliation Act of 2003 (Wiki) (JGTRRA), were allowed to expire in 2013. The Making Work Pay tax credit (Wiki) expired at the end of 2010, and payroll tax rates that had been reduced in 2011 and 2012 were reset in 2013 to their earlier amounts. There are seven versions as of 25 March 2010 and this web page is about the current ENR version. The main subdivisions are called Titles (T in my table below) and there's ten of them. Titles are subdivided into Sub Titles (sT). Sub Titles are subdivided into Parts (P) which in turn are broken down into Sub Parts (sP). Finally there are Sections (S). The first digit of the section matches the number of the title. The second digit increments for each sub title. Sections may contain new laws or may modify other federal laws such as those for the IRS, SSA, etc. The current on line pdf version of H.R. 3590 (ENR) is searchable but does not have any other pdf navigation features like internal or external links or bookmarks and so is extremely user hostile. For more about pdf document navigation see my Making a pdf web page. The section titles often use terminology that's not in the common vocabulary so I'm adding links to Wiki or other internet web pages to help explain these. S1001.Amendments to the Public Health Service Act. S1003.Ensuring that consumers get value for their dollars. S1101.Immediate access to insurance for uninsured individuals with a preexisting condition. S1103.Immediate information that allows consumers to identify affordable coverage options. S1201.Amendment to the Public Health Service Act. S1251.Preservation of right to maintain existing coverage. S1252.Rating reforms must apply uniformly to all health insurance issuers and group health plans. S1311.Affordable choices of health benefit plans. (II) CONGRESSIONAL STAFF.—The term ‘‘congressional staff’’ means all full-time and parttime employees employed by the official office of a Member of Congress, whether in Washington, DC or outside of Washington, DC. S1321.State flexibility in operation and enforcement of Exchanges and related requirements. S1322.Federal program to assist establishment and operation of nonprofit, member-run health insurance issuers. S1331.State flexibility to establish basic health programs for low-income individuals not eligible for Medicaid. S1333.Provisions relating to offering of plans in more than one State. S1341.Transitional reinsurance program for individual and small group markets in each State. S1342.Establishment of risk corridors for plans in individual and small group markets. S1401.Refundable tax credit providing premium assistance for coverage under a qualified health plan. S1402.Reduced cost-sharing for individuals enrolling in qualified health plans. S1411.Procedures for determining eligibility for Exchange participation, pre-mium tax credits and reduced cost-sharing, and individual responsibility exemptions. S1412.Advance determination and payment of premium tax credits and cost- sharing reductions. S1414.Disclosures to carry out eligibility requirements for certain programs. S1415.Premium tax credit and cost-sharing reduction payments disregarded for Federal and Federally-assisted programs. S1421.Credit for employee health insurance expenses of small businesses. S1501.Requirement to maintain minimum essential coverage. S1502.Reporting of health insurance coverage. S1511.Automatic enrollment for employees of large employers. S1512.Employer requirement to inform employees of coverage options. S1514.Reporting of employer health insurance coverage. S1515.Offering of Exchange-participating qualified health plans through cafeteria plans. S1553.Prohibition against discrimination on assisted suicide. S1555.Freedom not to participate in Federal health insurance programs. S1556.Equity for certain eligible survivors. S1561.Health information technology enrollment standards and protocols. S1563.Sense of the Senate promoting fiscal responsibility. S2001.Medicaid coverage for the lowest income populations. S2002.Income eligibility for nonelderly determined using modified gross in-come. S2003.Requirement to offer premium assistance for employer-sponsored insurance. S2004.Medicaid coverage for former foster care children. S2006.Special adjustment to FMAP determination for certain States recovering from a major disaster. S2101.Additional federal financial participation for CHIP. S2201.Enrollment Simplification and coordination with State Health Insurance Exchanges. S2202.Permitting hospitals to make presumptive eligibility determinations for all Medicaid eligible populations. S2301.Coverage for freestanding birth center services. S2303.State eligibility option for family planning services. S2304.Clarification of definition of medical assistance. S2402.Removal of barriers to providing home and community-based services. S2403.Money Follows the Person Rebalancing Demonstration. S2404.Protection for recipients of home and community-based services against spousal impoverishment. S2406.Sense of the Senate regarding long-term care. S2502.Elimination of exclusion of coverage of certain drugs. S2601.5-year period for demonstration projects. S2602.Providing Federal coverage and payment coordination for dual eligible beneficiaries. S2702.Payment Adjustment for Health Care-Acquired Conditions. S2703.State option to provide health homes for enrollees with chronic conditions. S2704.Demonstration project to evaluate integrated care around a hospitalization. S2705.Medicaid Global Payment System Demonstration Project. S2706.Pediatric Accountable Care Organization Demonstration Project. S2707.Medicaid emergency psychiatric demonstration project. S2801.MACPAC assessment of policies affecting all Medicaid beneficiaries. S2901.Special rules relating to Indians. S2902.Elimination of sunset for reimbursement for all medicare part B services furnished by certain indian hospitals and clinics. S2951.Maternal, infant, and early childhood home visiting programs. S2952.Support, education, and research for postpartum depression. S2954.Restoration of funding for abstinence education. S2955.Inclusion of information about the importance of having a health care power of attorney in transition planning for children aging out of foster care and independent living programs. S3002.Improvements to the physician quality reporting system. S3003.Improvements to the physician feedback program. S3004.Quality reporting for long-term care hospitals, inpatient rehabilitation hospitals, and hospice programs. S3005.Quality reporting for PPS-exempt cancer hospitals. S3006.Plans for a Value-Based purchasing program for skilled nursing facilities and home health agencies. S3007.Value-based payment modifier under the physician fee schedule. S3008.Payment adjustment for conditions acquired in hospitals. S3012.Interagency Working Group on Health Care Quality. S3021.Establishment of Center for Medicare and Medicaid Innovation within CMS. Comprehensive Primary Care Initiative (CPCI) - 2015 still in the trial stage in a few states. S3023.National pilot program on payment bundling. S3024.Independence at home demonstration program. S3027.Extension of gain sharing demonstration. S3101.Increase in the physician payment update. S3102.Extension of the work geographic index floor and revisions to the prac-tice expense geographic adjustment under the Medicare physician fee schedule. S3103.Extension of exceptions process for Medicare therapy caps. S3104.Extension of payment for technical component of certain physician pathology services. S3106.Extension of certain payment rules for long-term care hospital services and of moratorium on the establishment of certain hospitals and facilities. S3107.Extension of physician fee schedule mental health add-on. S3108.Permitting physician assistants to order post-Hospital extended care services. S3109.Exemption of certain pharmacies from accreditation requirements. S3110.Part B special enrollment period for disabled TRICARE beneficiaries. Wiki: TRICARE provides civilian health benefits for military personnel, military retirees, and their dependents, including some members of the Reserve Component. S3111.Payment for bone density tests. S3112.Revision to the Medicare Improvement Fund. S3113.Treatment of certain complex diagnostic laboratory tests. S3114.Improved access for certified nurse-midwife services. S3121.Extension of outpatient hold harmless provision. S3122.Extension of Medicare reasonable costs payments for certain clinical di-agnostic laboratory tests furnished to hospital patients in certain rural areas. S3123.Extension of the Rural Community Hospital Demonstration Program. S3124.Extension of the Medicare-dependent hospital (MDH) program. S3125.Temporary improvements to the Medicare inpatient hospital payment adjustment for low-volume hospitals. S3126.Improvements to the demonstration project on community health integration models in certain rural counties. S3127.MedPAC study on adequacy of Medicare payments for health care pro-viders serving in rural areas. S3128.Technical correction related to critical access hospital services. S3129.Extension of and revisions to Medicare rural hospital flexibility program. S3131.Payment adjustments for home health care. S3134.Misvalued codes under the physician fee schedule. S3135.Modification of equipment utilization factor for advanced imaging services. S3136.Revision of payment for power-driven wheelchairs. S3138.Treatment of certain cancer hospitals. S3139.Payment for biosimilar biological products. S3140.Medicare hospice concurrent care demonstration program. S3141.Application of budget neutrality on a national basis in the calculation of the Medicare hospital wage index floor. S3142.HHS study on urban Medicare-dependent hospitals. S3203.Application of coding intensity adjustment during MA payment transition. S3204.Simplification of annual beneficiary election periods. S3205.Extension for specialized MA plans for special needs individuals. S3206.Extension of reasonable cost contracts. S3207.Technical correction to MA private fee-for-service plans. S3208.Making senior housing facility demonstration permanent. S3209.Authority to deny plan bids. S3210.Development of new standards for certain Medigap plans. S3301.Medicare coverage gap discount program. S3302.Improvement in determination of Medicare part D low-income benchmark premium. S3303.Voluntary de minimis policy for subsidy eligible individuals under prescription drug plans and MA–PD plans. S3304.Special rule for widows and widowers regarding eligibility for low-income assistance. S3305.Improved information for subsidy eligible individuals reassigned to prescription drug plans and MA–PD plans. S3306.Funding outreach and assistance for low-income programs. S3307.Improving formulary requirements for prescription drug plans and MA– PD plans with respect to certain categories or classes of drugs. S3308.Reducing part D premium subsidy for high-income beneficiaries. S3309.Elimination of cost sharing for certain dual eligible individuals. S3310.Reducing wasteful dispensing of outpatient prescription drugs in longterm care facilities under prescription drug plans and MA–PD plans. S3311.Improved Medicare prescription drug plan and MA–PD plan complaint system. S3312.Uniform exceptions and appeals process for prescription drug plans and MA–PD plans. S3313.Office of the Inspector General studies and reports. S3314.Including costs incurred by AIDS drug assistance programs and Indian Health Service in providing prescription drugs toward the annual out-of-pocket threshold under part D.
S3315.Immediate reduction in coverage gap in 2010. S3401.Revision of certain market basket updates and incorporation of productivity improvements into market basket updates that do not already incorporate such improvements. S3402.Temporary adjustment to the calculation of part B premiums. S3501.Health care delivery system research; Quality improvement technical assistance. S3502.Establishing community health teams to support the patient-centered medical home. S3503.Medication management services in treatment of chronic disease. S3504.Design and implementation of regionalized systems for emergency care. S3505.Trauma care centers and service availability. S3506.Program to facilitate shared decision making. S3507.Presentation of prescription drug benefit and risk information. S3508.Demonstration program to integrate quality improvement and patient safety training into clinical education of health professionals. S3601.Protecting and improving guaranteed Medicare benefits. S3602.No cuts in guaranteed benefits. S4001.National Prevention, Health Promotion and Public Health Council. S4002.Prevention and Public Health Fund. S4003.Clinical and community preventive services. S4004.Education and outreach campaign regarding preventive benefits. S4103.Medicare coverage of annual wellness visit providing a personalized prevention plan. S4104.Removal of barriers to preventive services in Medicare. S4105.Evidence-based coverage of preventive services in Medicare. S4106.Improving access to preventive services for eligible adults in Medicaid. S4107.Coverage of comprehensive tobacco cessation services for pregnant women in Medicaid. S4108.Incentives for prevention of chronic diseases in medicaid. S4202.Healthy aging, living well; evaluation of community-based prevention and wellness programs for Medicare beneficiaries. S4203.Removing barriers and improving access to wellness for individuals with disabilities. S4205.Nutrition labeling of standard menu items at chain restaurants. S4206.Demonstration project concerning individualized wellness plan. S4207.Reasonable break time for nursing mothers. S4301.Research on optimizing the delivery of public health services. S4302.Understanding health disparities: data collection and analysis. S4303.CDC and employer-based wellness programs. S4305.Advancing research and treatment for pain care management. S4306.Funding for Childhood Obesity Demonstration Project. S4401.Sense of the Senate concerning CBO scoring. S4402.Effectiveness of Federal health and wellness initiatives. S5101.National health care workforce commission. S5102.State health care workforce development grants. S5201.Federally supported student loan funds. S5203.Health care workforce loan repayment programs. S5204.Public health workforce recruitment and retention programs. S5205.Allied health workforce recruitment and retention programs. S5206.Grants for State and local programs. S5207.Funding for National Health Service Corps. S5209.Elimination of cap on commissioned corps. S5210.Establishing a Ready Reserve Corps. S5301.Training in family medicine, general internal medicine, general pediatrics, and physician assistantship. S5302.Training opportunities for direct care workers. S5303.Training in general, pediatric, and public health dentistry. S5304.Alternative dental health care providers demonstration project. S5305.Geriatric education and training; career awards; comprehensive geriatric education. S5306.Mental and behavioral health education and training grants. S5307.Cultural competency, prevention, and public health and individuals with disabilities training. S5309.Nurse education, practice, and retention grants. S5310.Loan repayment and scholarship program. S5312.Authorization of appropriations for parts B through D of title VIII. S5313.Grants to promote the community health workforce. S5314.Fellowship training in public health. S5315.United States Public Health Sciences Track. S5402.Health care professionals training for diversity. S5501.Expanding access to primary care services and general surgery services. S5502.Medicare Federally qualified health center improvements. S5503.Distribution of additional residency positions. S5504.Counting resident time in nonprovider settings. S5505.Rules for counting resident time for didactic and scholarly activities and other activities. S5506.Preservation of resident cap positions from closed hospitals. S5507.Demonstration projects To address health professions workforce needs; extension of family-to-family health information centers. S5601.Spending for Federally Qualified Health Centers (FQHCs). S5602.Negotiated rulemaking for development of methodology and criteria for designating medically underserved populations and health professions shortage areas. S5603.Reauthorization of the Wakefield Emergency Medical Services for Children Program. in emergency medical services for children. S5604.Co-locating primary and specialty care in community-based mental health settings. S6001.Limitation on Medicare exception to the prohibition on certain physician referrals for hospitals. S6002.Transparency reports and reporting of physician ownership or investment interests. S6003.Disclosure requirements for in-office ancillary services exception to the prohibition on physician self-referral for certain imaging services. S6005.Pharmacy benefit managers transparency requirements. S6101.Required disclosure of ownership and additional disclosable parties information. S6102.Accountability requirements for skilled nursing facilities and nursing facilities. S6103.Nursing home compare Medicare website. S6107.GAO study and report on Five-Star Quality Rating System. S6112.National independent monitor demonstration project. S6114.National demonstration projects on culture change and use of information technology in nursing homes. S6121.Dementia and abuse prevention training. S6201.Nationwide program for National and State background checks on direct patient access employees of long-term care facilities and providers. S6302.Federal coordinating council for comparative effectiveness research. S6401.Provider screening and other enrollment requirements under Medicare, Medicaid, and CHIP. S6402.Enhanced Medicare and Medicaid program integrity provisions. S6403.Elimination of duplication between the Healthcare Integrity and Protection Data Bank and the National Practitioner Data Bank. S6404.Maximum period for submission of Medicare claims reduced to not more than 12 months. S6405.Physicians who order items or services required to be Medicare enrolled physicians or eligible professionals. S6406.Requirement for physicians to provide documentation on referrals to programs at high risk of waste and abuse. S6407.Face to face encounter with patient required before physicians may certify eligibility for home health services or durable medical equipment under Medicare. S6410.Adjustments to the Medicare durable medical equipment, prosthetics, orthotics, and supplies competitive acquisition program. S6411.Expansion of the Recovery Audit Contractor (RAC) program. S6501.Termination of provider participation under Medicaid if terminated under Medicare or other State plan. S6502.Medicaid exclusion from participation relating to certain ownership, control, and management affiliations. S6503.Billing agents, clearinghouses, or other alternate payees required to reg-ister under Medicaid. S6504.Requirement to report expanded set of data elements under MMIS to detect fraud and abuse. S6505.Prohibition on payments to institutions or entities located outside of the United States. S6507.Mandatory State use of national correct coding initiative. S6601.Prohibition on false statements and representations. S6603.Development of model uniform report form. S6604.Applicability of State law to combat fraud and abuse. S6605.Enabling the Department of Labor to issue administrative summary cease and desist orders and summary seizures orders against plans that are in financially hazardous condition. S6606.MEWA plan registration with Department of Labor. S6607.Permitting evidentiary privilege and confidential communications. S6801.Sense of the Senate regarding medical malpractice. S7002.Approval pathway for biosimilar biological products. S7101.Expanded participation in 340B program. S7102.Improvements to 340B program integrity. S7103.GAO study to make recommendations on improving the 340B program. S8002.Establishment of national voluntary insurance program for purchasing community living assistance services and support. S9001.Excise tax on high cost employer-sponsored health coverage. S9002.Inclusion of cost of employer-sponsored health coverage on W–2. S9003.Distributions for medicine qualified only if for prescribed drug or insulin. S9004.Increase in additional tax on distributions from HSAs and Archer MSAs not used for qualified medical expenses. S9005.Limitation on health flexible spending arrangements under cafeteria plans. S9006.Expansion of information reporting requirements. S9007.Additional requirements for charitable hospitals. S9008.Imposition of annual fee on branded prescription pharmaceutical manufacturers and importers. S9009.Imposition of annual fee on medical device manufacturers and importers. S9010.Imposition of annual fee on health insurance providers. S9011.Study and report of effect on veterans health care. S9012.Elimination of deduction for expenses allocable to Medicare Part D subsidy. S9013.Modification of itemized deduction for medical expenses. S9014.Limitation on excessive remuneration paid by certain health insurance providers. Increases the FICA tax from 0.5% to 1.4% for everyone and adds a 0.9% High-Income tax to the IRS code as shown below. S9016.Modification of section 833 treatment of certain health organizations. S9017.Excise tax on elective cosmetic medical procedures. S9021.Exclusion of health benefits provided by Indian tribal governments. S9022.Establishment of simple cafeteria plans for small businesses. S9023.Qualifying therapeutic discovery project credit. S10109.Development of standards for financial and administrative transactions. S10201.Amendments to the Social Security Act and title II of this Act. S10202.Incentives for States to offer home and community-based services as a long-term care alternative to nursing homes. S10203.Extension of funding for CHIP through fiscal year 2015 and other CHIP-related provisions. S10212.Establishment of pregnancy assistance fund. S10301.Plans for a Value-Based purchasing program for ambulatory surgical centers. S10302.Revision to national strategy for quality improvement in health care. S10306.Improvements under the Center for Medicare and Medicaid Innovation. S10307.Improvements to the Medicare shared savings program. S10308.Revisions to national pilot program on payment bundling. S10309.Revisions to hospital readmissions reduction program. S10310.Repeal of physician payment update. S10311.Revisions to extension of ambulance add-ons. S10312.Certain payment rules for long-term care hospital services and moratorium on the establishment of certain hospitals and facilities. S10313.Revisions to the extension for the rural community hospital demonstra-tion program. S10314.Adjustment to low-volume hospital provision. S10315.Revisions to home health care provisions. S10317.Revisions to extension of section 508 hospital provisions. S10318.Revisions to transitional extra benefits under Medicare Advantage. S10319.Revisions to market basket adjustments. S10320.Expansion of the scope of, and additional improvements to, the Independent Medicare Advisory Board. S10321.Revision to community health teams. S10322.Quality reporting for psychiatric hospitals. S10323.Medicare coverage for individuals exposed to environmental health hazards. S10325.Revision to skilled nursing facility prospective payment system. S10326.Pilot testing pay-for-performance programs for certain Medicare providers. S10327.Improvements to the physician quality reporting system. S10328.Improvement in part D medication therapy management (MTM) programs. S10329.Developing methodology to assess health plan value. S10330.Modernizing computer and data systems of the Centers for Medicare & Medicaid services to support improvements in care delivery. S10331.Public reporting of performance information. S10332.Availability of medicare data for performance measurement. S10335.Technical correction to the hospital value-based purchasing program. S10336.GAO study and report on Medicare beneficiary access to high-quality dialysis services. S10406.Amendment relating to waiving coinsurance for preventive services. S10408.Grants for small businesses to provide comprehensive workplace wellness programs. S10410.Centers of Excellence for Depression. S10411.Programs relating to congenital heart disease. S10412.Automated Defibrillation in Adam’s Memory Act. S10413.Young women’s breast health awareness and support of young women diagnosed with breast cancer. S10501.Amendments to the Public Health Service Act, the Social Security Act, and title V of this Act. S10502.Infrastructure to Expand Access to Care. S10503.Community Health Centers and the National Health Service Corps Fund. S10504.Demonstration project to provide access to affordable care. S10601.Revisions to limitation on medicare exception to the prohibition on cer-tain physician referrals for hospitals. S10602.Clarifications to patient-centered outcomes research. S10603.Striking provisions relating to individual provider application fees. S10604.Technical correction to section 6405. S10605.Certain other providers permitted to conduct face to face encounter for home health services. S10607.State demonstration programs to evaluate alternatives to current med-ical tort litigation. S10608.Extension of medical malpractice coverage to free clinics. S10901.Modifications to excise tax on high cost employer-sponsored health coverage. S10902.Inflation adjustment of limitation on health flexible spending arrangements under cafeteria plans. S10903.Modification of limitation on charges by charitable hospitals. S10904.Modification of annual fee on medical device manufacturers and im-porters. S10905.Modification of annual fee on health insurance providers. S10906.Modifications to additional hospital insurance tax on high-income tax-payers. S10907.Excise tax on indoor tanning services in lieu of elective cosmetic medical procedures. S10908.Exclusion for assistance provided to participants in State student loan repayment programs for certain health professionals. S10909.Expansion of adoption credit and adoption assistance programs. [an error occurred while processing this directive] created Mar 25 2010.